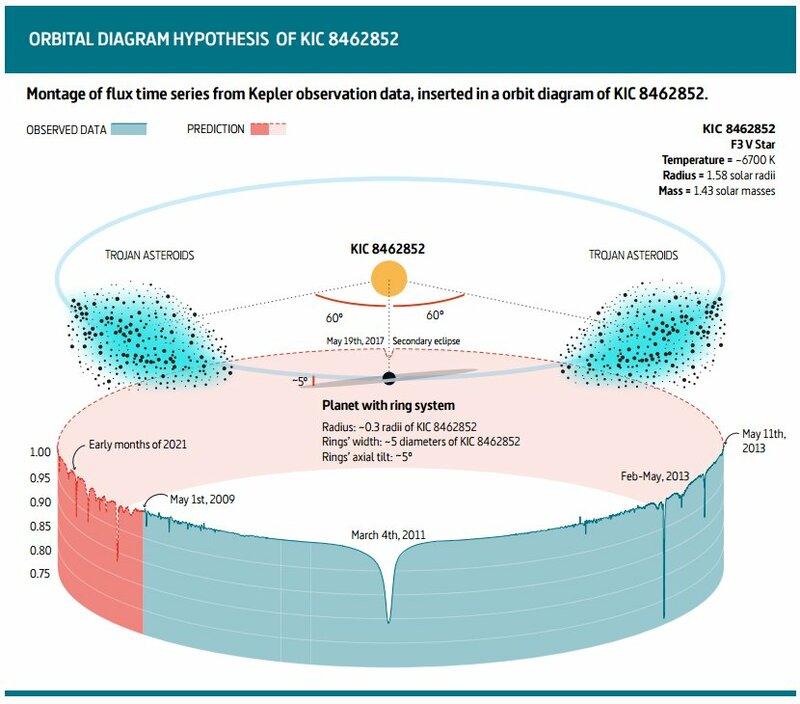 • View topic - kic-8462852 trojan ? Post subject: kic-8462852 trojan ? Post subject: Re: kic-8462852 trojan ? There are certain problems with that, including that the proposed planetary radius is extremely large, likewise the number of Trojan asteroids needed. Plus the secondary eclipse doesn't seem to work out, see Jason T Wright's blog post on this paper.